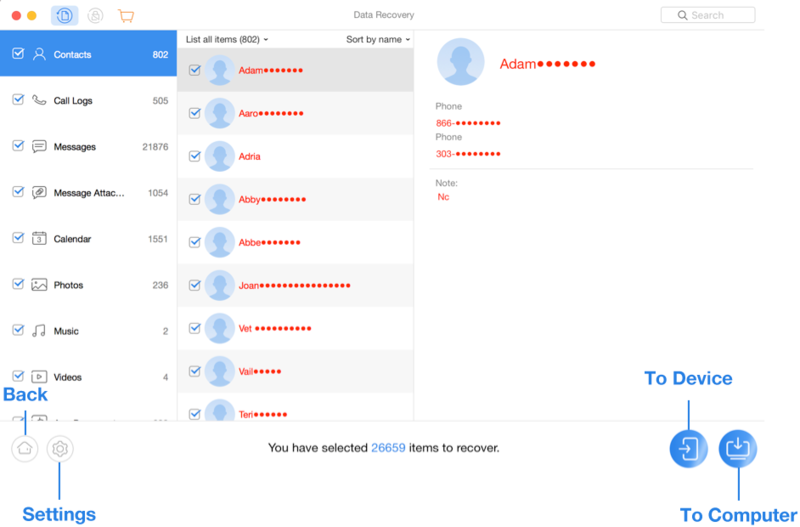 Download PhoneRescue for Android to Retrieve Your Lost Important Data! Welcome to PhoneRescue for Android Online Guide. Here you can find all detailed tutorials about how to root device, recover lost important data back and even remove screen lock of your Android device. If you still have questions after reading this guide, please do not hesitate to contact our Support Team, and you will be guaranteed with 7/24 customer support. 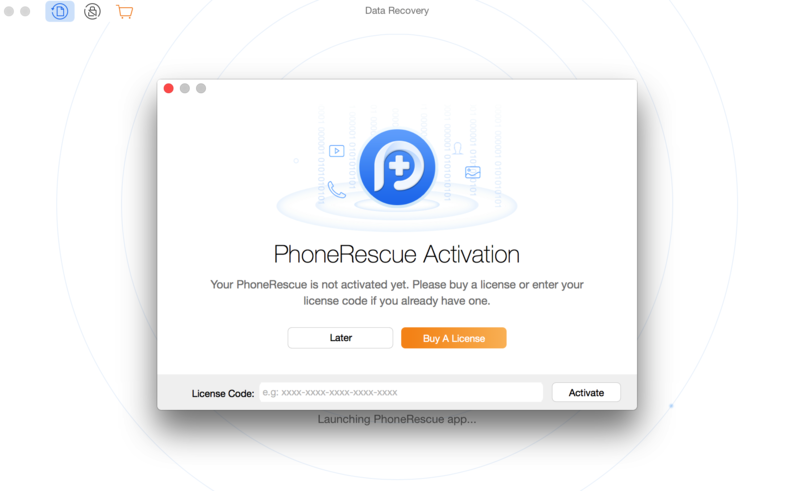 Learn the basics, settings and license code register of PhoneRescue for Android. Then, please refer to the following guide to facilitate your PhoneRescue for Android use. Please launch PhoneRescue for Android on your computer after installing it successfully. And then, the main interface will display. Please click different function icons to choose the function you need. At present, PhoneRescue for Android only supports single-device connection. PhoneRescue for Android will display the scanning result window to you even with the free version. 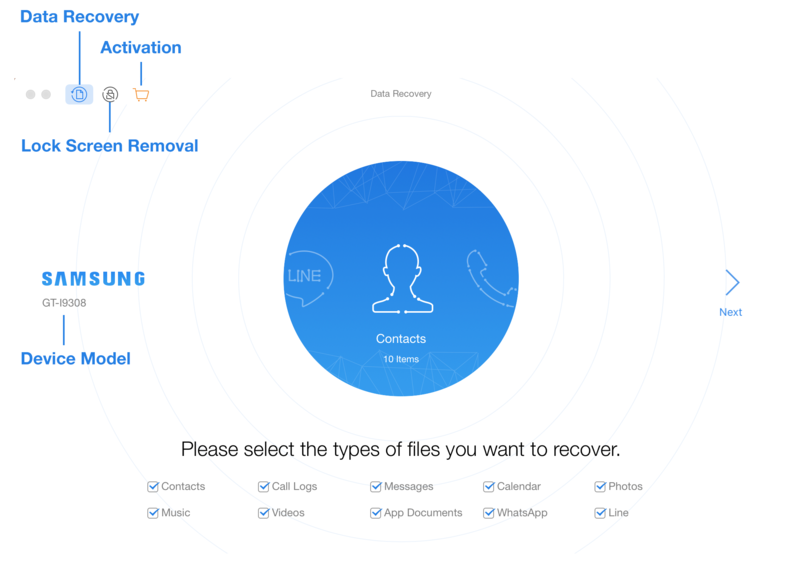 With registered version, you can recover data to computer or Android device directly based on your needs. Meanwhile, you can extract all Android device contents to computer with a few clicks. 1. 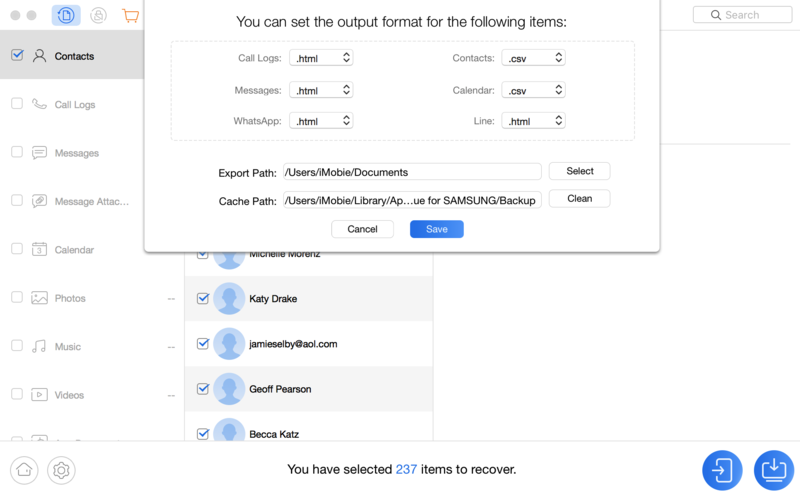 Currently, PhoneRescue for Android only supports to recover Contacts, Messages, Calendar, Call Logs to Android device directly. 2. With the trial version, the scanned personal data can only be displayed with the several letters and red dots. Once you upgrade to registered version, you can preview & recover all of them. To make good use of PhoneRescue for Android, please learn how to set up PhoneRescue for Android prior to your use. Currently, PhoneRescue for Android supports 7 languages (English, Japanese, German, French, Spanish, Arabic and Simplified Chinese). 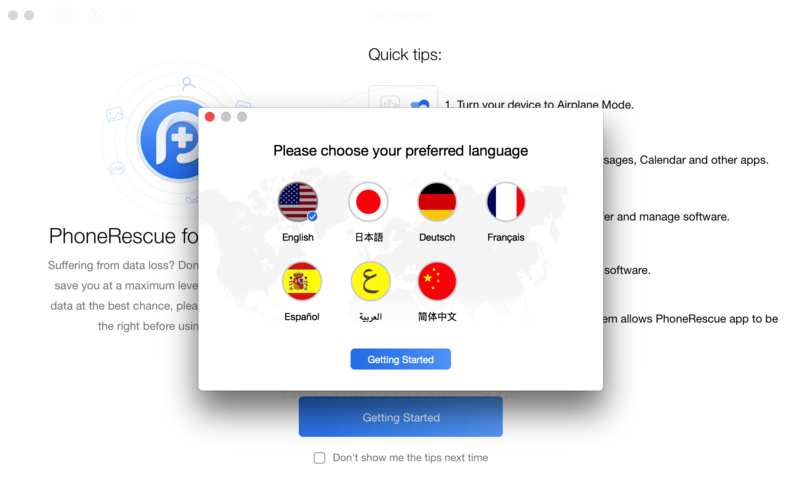 You can choose preferred language when you firstly launch PhoneRescue for Android or change it from the menu bar. Please click button on the lower left corner of PhoneRescue for Android interface to set up the Output Format of Files, Export Path and Cache Path. 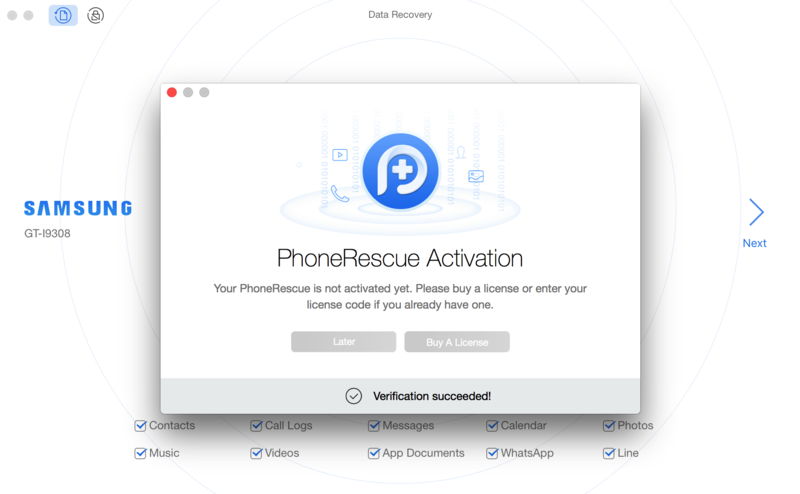 With PhoneRescue for Android license code, you will enjoy all of benefits of the registered version. Please simply click button on the upper left corner of PhoneRescue for Android homepage and then enter your license code if you already have one. Please copy & paste the license code to avoid any typing mistake. Meanwhile, please make sure the Internet connection is fine when you try to launch register process. Once PhoneRescue for Android registers successfully, the interface below will display.